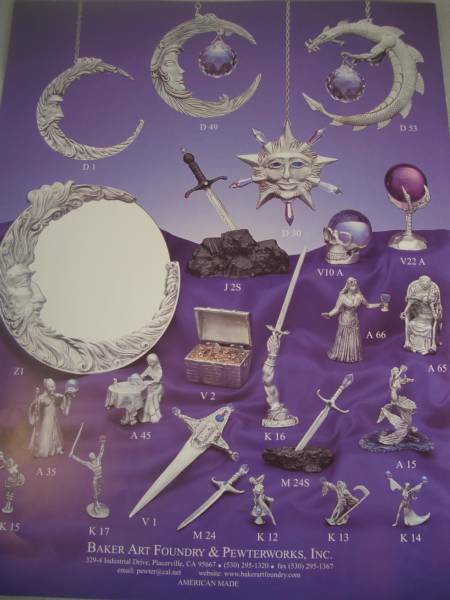 Baker Art Foundry produced a fantasy line of pewter gift items in the 80's that is still popular today. We have had wizards since Merlin!! 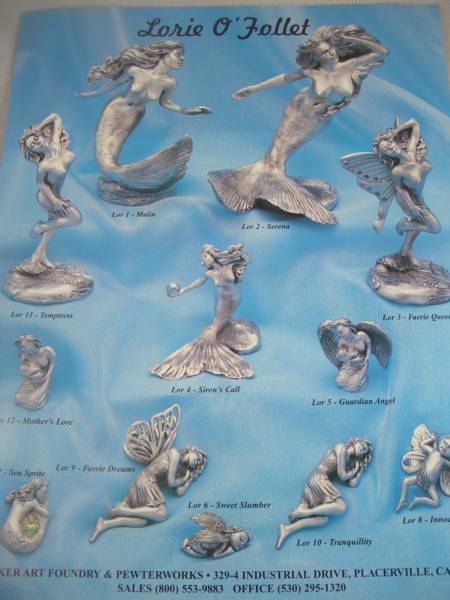 Mermaids have graced our collectibles before "the little mermaid", and our fairies have flown around our foundry for four decades now. 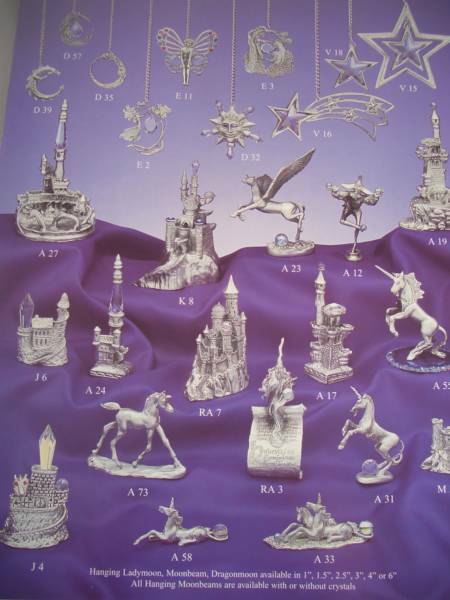 Our lead free pewter line of Crystal Treasures is more than fantasy, it is a walk back into your imagination. We use Swarovski crystals in all the crystal accents of our pewter items. 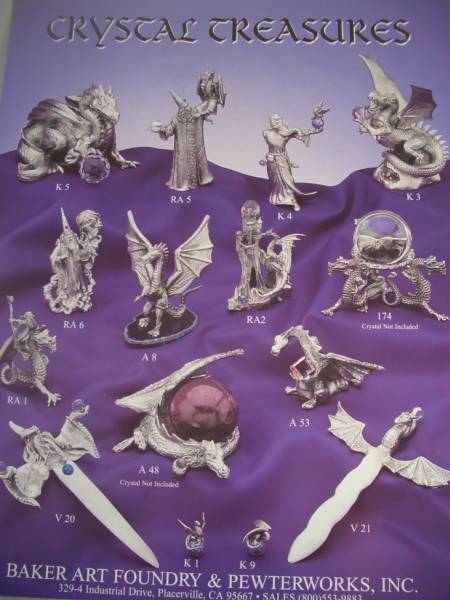 The artistry of the Crystal Treasure line is made up from several different artists. From the Guardian Dragon to the most innocent of unicorns, we have a gift that will enchant both the young and old. Baker Art Foundry & Pewterworks has been in existence since 1969. Our pewter gift lines have changed and evolved much during the last 41 years. We have added too many wonderful designs to show in a few photo's. Fantasy is always with us, and hopefully will be forever. It is with great pride that we cast to order..please contact us for more information. Baker Art Foundry is a custom casting foundry. 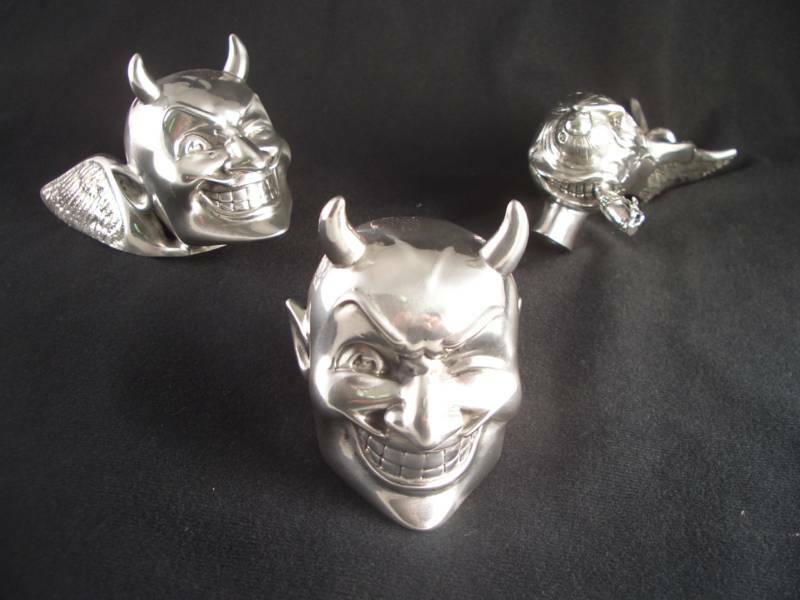 If you have a fantasy, and want it created in pewter.... contact us. No job is too small.....or too large. 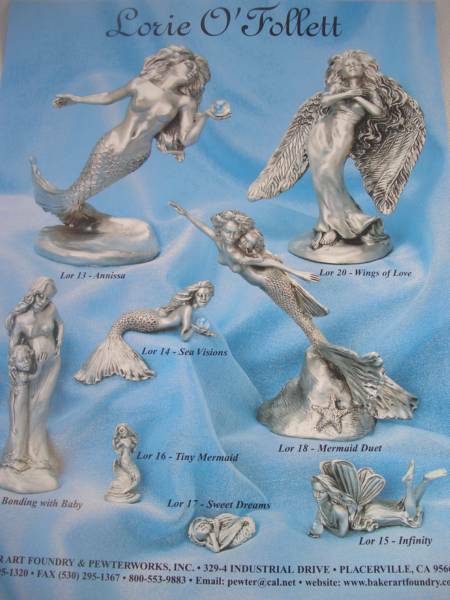 Baker Art Foundry has been casting mermaids & faeries in pewter since the early 70's. Although many things change and our designs have changed we still have hundreds of molds of these lovely creatures to choose from. We also are adding more mermaids and faeries to our lines. 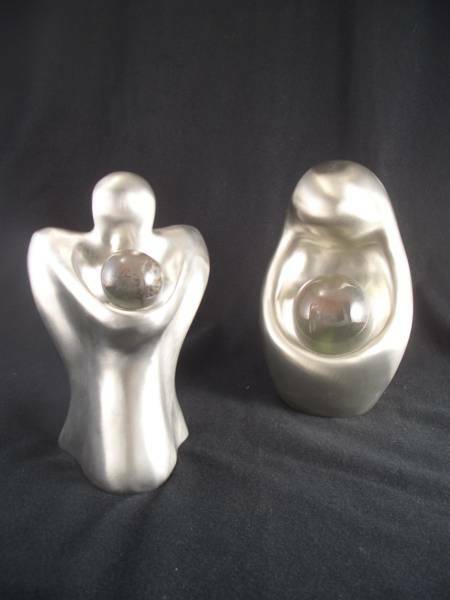 If you have a design that you would like to have cast in pewter just conact our foundry.